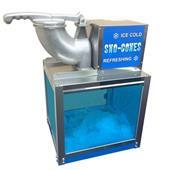 Round Folding Table # 48"
SNOW CONE MACHINE $65 PER DAY *Includes 2 quarts of flavored syrup (your choice) and 50 serving cones. Extra serving packs available for purchase. Requirements: Approximately 1/2lb regular bagged ice needed per cone. (Approx. 25lbs per 50 servings) (110/120V) (Standard USA Outlet) Generator required for parks) Table/Stand not included with rental Sorry, we do not allow customer pickups at this time. *Includes 2 quarts of flavored syrup (your choice) and 50 serving cones. Extra serving packs available for purchase. Love what you see? Need a second opinion? 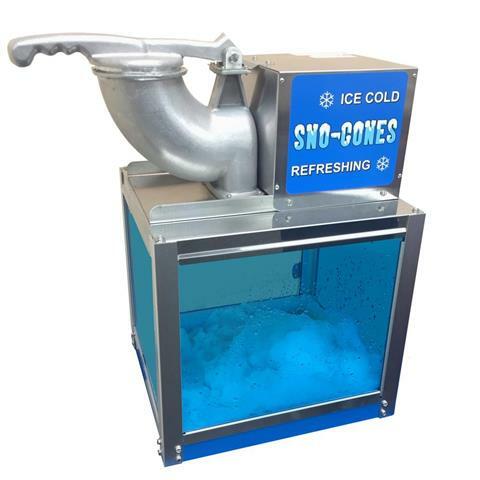 Email Snow-Cone Machines to a friend! We specialize in offering clean affordable jumpers and party supplies. Our objective is to bring exciting and unique entertainment to all you events including: Birthdays, picnics, weddings, business parties and many other occasions. Our response time is quick and efficient. We also make sure that all our rentals work properly because quality and safety are essential to our business. Besides our great assortment of jumpers we offer great party stand-bys such as patio heaters, cotton candy machines, popcorn machines, generators, helium tanks, tables, chairs and much more. Visit our retals gallery for more information. © 2015 Jump-N-Play. All rights reserved.